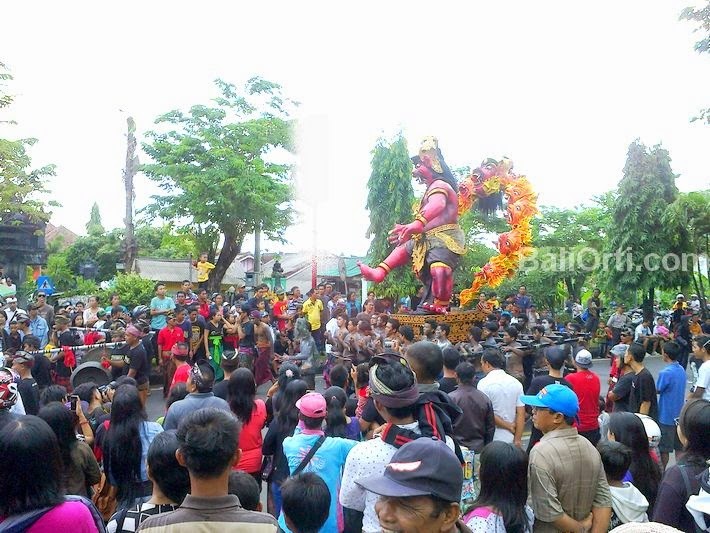 Nyepi Day is synonymous with Parade of Ogoh-ogoh, also for this year, Ogoh-ogoh Parade 2016 will be held the day prior to Nyepi Day 2016. Ogoh-ogoh 2016 will be held on March 8. There is a possibility for this year there will be no parade because it is associated with terror threats and attacks were done by ISIS. Usually as 2003 to 2005, the government banned the parade for security reasons. Security this year has been in testing with the bombing in Jakarta Sarinah. Security in Bali also tested by the threat of attack by ISIS letter that has been circulating on the internet. Ogoh-ogoh usually made one month before the parade. Because the process of making ogoh-ogoh require enormous resources. If ogoh-ogoh made very large and beautiful, it requires a huge cost. Until now there is no appeal from the government about the ban ogoh-ogoh parade. 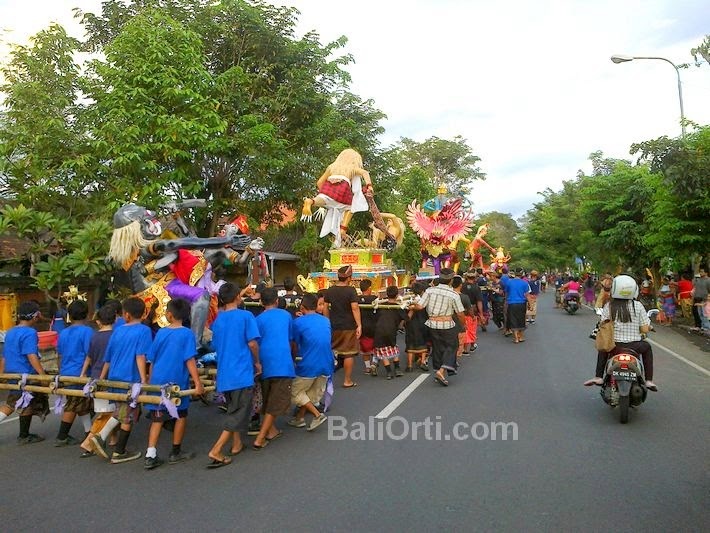 Residents also felt uneasy, especially young people of Bali, because they are still free to make ogoh-ogoh. If you do the preparation and conduct fundraising calls from the government feared that prohibits parade. Then a big loss will be gained by young people. 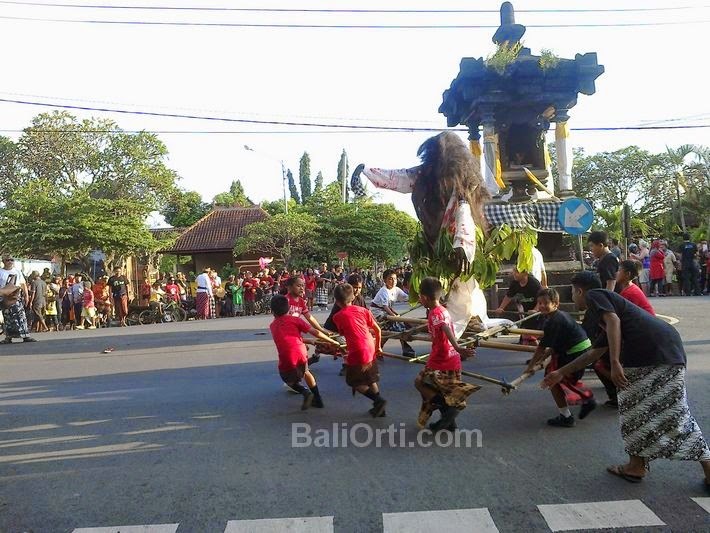 Ogoh-ogoh is the most eagerly awaited by the young people of Bali, as well as children. Because a lot of fun activities that can be done. Gathered with friends, joking, playing, while making ogoh-ogoh. Mutual demonstrate artistic ability and creativity to other youth groups. Copy race prestige of the ability to make ogoh-ogoh. Because ogoh-ogoh was the hallmark creativity of young people Bali. Ogoh-ogoh are works of art in a giant paper dolls depicting the Balinese culture personality Bhuta Kala (evil creatures). In the teachings of Hindu Dharma, Bhuta Kala represents the power of the universe and time is not measurable and irrefutable. In the embodiment ogoh-ogoh, Bhuta Kala portrayed as large and frightening, usually in the form of a giant. In addition to the form of creature creepy, Ogoh-ogoh often made in the form of the creatures that live in the wild, supernatural, heaven and hell, like dragons, elephants, angels, even in its development, there is made to resemble famous people, as world leaders, artists or religious leaders and even criminals. Related to this, there is also a political nuance, although in fact it is deviating from the basic principle Ogoh-ogoh. Examples Ogoh-ogoh to form a terrorist.